The mosquito-borne Zika virus has decided to visit the Big Apple. Thankfully, its stay will be short-lived and harmless to other New Yorkers. On the eve of winter storm Jonas, Jan. 22, the New York State Department of Health announced the discovery of three Zika cases within the state, each contracted during travel to endemic countries. Of the three, one has fully recovered already, while the other two are doing so without any complications. All of the patients tested positive for the virus’s presence. 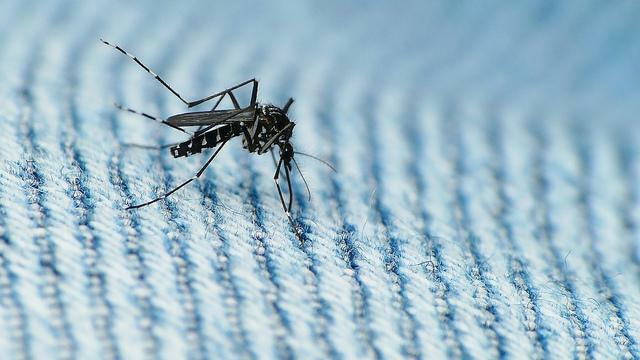 Compared to more infamous mosquito-borne diseases, like malaria or dengue, Zika is low-key. Only 20 percent of infected individuals present any symptoms at all, such as rash or fever, and even then it is typically mild. Recently, however, Zika has received a torrent of attention from public health officials across the world after an outbreak in Brazil last year was linked to an uptick of birth defects among its pregnant sufferers. Thousands of Brazilian babies are known to have come down with microcephaly, or unusually small heads, in the wake of the outbreak, a sharp increase from the hundred or so cases that normally occur annually. Smaller outbreaks elsewhere have been tied to the development of neurological complications in very rare cases among both adults and the very young. Because Zika outbreaks are known to spread rapidly once they’re established and there is, at present, no treatment or vaccine, the Centers for Disease Control and Prevention (CDC) has advised that pregnant women delay traveling to countries where the virus is regularly found. On Friday, the list expanded to nations such as Bolivia, Ecuador, and Samoa. Any pregnant women who have recently traveled and come down with Zika-like symptoms are advised to receive blood testing for Zika as well. The three NY patients are believed to be from Queens in New York City, Nassau County, and Orange County, respectively.